Planning your perfect wedding day is incredibly exciting, but it's very easy to feel overwhelmed with all the different options – and suppliers – on the market. So, whether you’re looking for a specific supplier for your wedding at Shottle Hall, or just want to see what’s on offer in the area, our recommended supplier’s list is the perfect wedding planning tool. You can browse the vast array of talented individuals and businesses we work with on a regular basis, safe in the knowledge that they have been carefully curated by us. 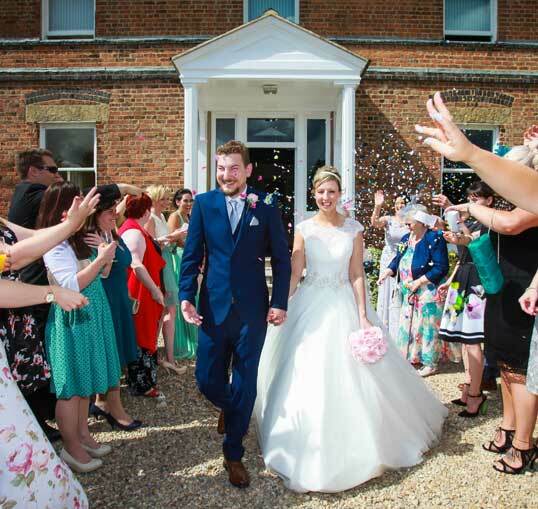 Our recommended suppliers have been handpicked because they are passionate about weddings, they are outstanding in their area of expertise and offer a customer service with the same exacting standards that we always insist upon. The style of your wedding: Are you having a casual or formal day, an intimate affair or a lavish celebration? And do the suppliers you’re looking at compliment your style and taste? Your budget: It’s very easy to get carried away and spend more than you can afford, but remember, if you splash out here you’ll need to cut back elsewhere. With some suppliers, a phone consultation or an email conversation should be enough to get an idea of whether or not you’d like to work with them, but with others (a photographer, for example) it’s important to check out your chemistry too. All the staff here at Shottle Hall are committed to helping you plan the perfect wedding day and our talented wedding suppliers feel like part of our extended family. So, whether you are trying to find your flowers or a photographer, a cake or a car, our handpicked suppliers are sure to be able to help.